I have been ‘working’ on ideas for some other Victorian long distance ‘circuits’ for some time, eg see my page: http://www.finnsheep.com/THE%20UPPER%20YARRA%20WALKING%20TRACK.htm . 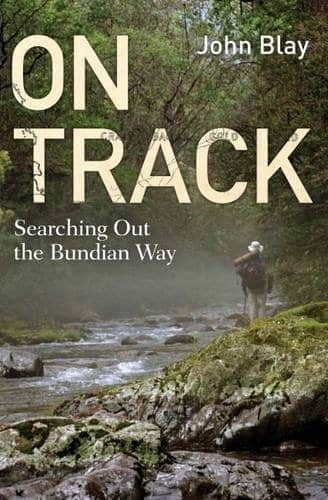 Thomas Osburg has drawn my attention to this ‘new’ one, ‘the Bundian Way’ which travels from @ Mt Kosciusko to Eden. This ‘new’ path would fit in nicely with those ideas. For example, starting eg from Lilydale Railway Station, ityou could begin with part of The Upper Yarra Track then a section of the Australian Alps Walking Track, then the Bundian Way then the Wilderness Coast Walk back from Eden to Bemm River from where you could make your way to Orbost, then join the various rail trails to make a circuit back to public transport again eg at Traralgon Railway Station. The Bundian way has not been completed yet, but I’m sure it could nonetheless be walked by intrepid folk. I have also been giving consideration to the fact that many of the existing tracks go nowhere near resupply points. Some (minor) changes to their routes could correct this. I will post about this more extensively later. Meanwhile check out this excellent book by John Blay: http://www.newsouthpublishing.com/articles/track-and-bundian-way/ & http://www.bundianway.com.au/Bundian_Survey_Public.pdf etc.